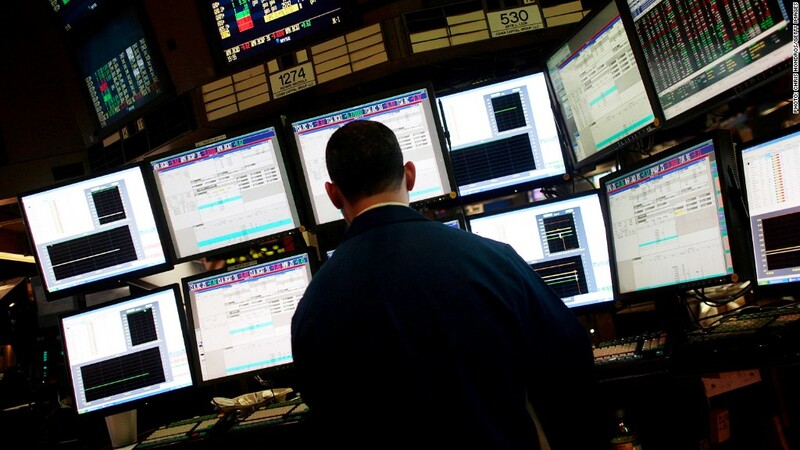 High speed trading firms pay to get data ahead of the broader market. Take a look at any major stock index two seconds before the monthly Thomson Reuters/University of Michigan consumer sentiment survey hits the airwaves, and the trading volume is astounding. That's because a small group of funds pay Thomson Reuters several thousands of dollars a month to see it first. In the milliseconds before the survey is released to other paying clients at 9:55 a.m. ET, trading volumes can soar up to 20 times their normal levels. By 9:54:59 a.m. ET, long after computers have acted on the number, volumes have already returned to normal. Such is the new face of global financial markets, where high speed trading firms execute the bulk of daily trades. "Economic data is a petri dish for high-frequency trading and highly automated trading activity," says Paul Rowady, senior analyst at market research firm Tabb Group. Because data like the University of Michigan's consumer sentiment survey comes out at the same time every month, firms that use algorithms can quickly make trades based on what the survey says well before other investors have seen it. That two-second window of time offers new revenue streams. Thomson Reuters pays the University of Michigan $1.1 million per year for exclusive access to its monthly consumer data. The media firm wouldn't disclose how much revenue it gets from its clients or how many subscribe to this feed. According to two sources familiar with the pricing, firms pay several thousands of dollars a month to get the data ahead of everyone else. High-speed trading firms appear to have an edge even when they don't get the data early. The Institute for Supply Management releases separate reports on manufacturing and non-manufacturing data each month. Everyone receives it at the same time, but ISM began seeing split-second market reactions. That suggested high speed computers were hard at work. And ISM spotted an opportunity. Last year, they partnered with Thomson Reuters to disseminate the data. The reports aren't issued any earlier, but Thomson Reuters does offer a paid service to convert the numbers into data that can be scanned by computer algorithms at high speed trading firms. "We're really not trying to create a situation where anyone can jump the gun, but it's become increasingly difficult to manage that process," said ISM CEO Tom Derry. Derry wouldn't disclose how much Thomson Reuters pays for exclusive distribution rights but said "it's a lot lower" than what the University of Michigan is paid. What can you buy early? Access: For several thousand dollars per month, firms can get the data at 9:54:58 a.m. ET. Other subscribers pay to get it at 9:55 a.m. ET. It's released to the public via the company's website at 10 a.m. ET. Impact: The number offers a snapshot of consumer confidence. Last month, it fell from a 6-year high and contributed to a choppy trading day. Thomson Reuters does not disclose who receives access to its data. Access: For roughly €2000 per year (see correction below), firms can get the survey results at 9:42 a.m. ET on the last trading day of every month. The public receives it at 9:45 a.m. ET. Impact: The survey offers a snapshot of manufacturing activity. Anything above 50 signals growth, while numbers below that means production is declining. Deutsche Boerse wouldn't comment on who receives this data. Access: Everyone gets the monthly reports at 10 a.m. ET, but trading firms can pay for a feed that can be easily read by computers. Thomson Reuters won't disclose the cost. Impact: ISM offers a snapshot of the health of the manufacturing and non-manufacturing industries in the United States. Anything above 50 signals expansion, while a reading below 50 means activity is contracting. Thomson Reuters wouldn't comment on who receives this data.